Like us, animals are all energetic beings. We started by treating our pets for stresses, and then, illness. It became abundantly clear, when clients asked if we would energetically peek in on their pet, that was itching, or limping, or sick. We had great success with animals. How we treat animals is to have a surrogate, possibly their owner, to be their energy, and treat them that way. It is explained on our remote page. This is a remote long distant healing. I would like to thank you two for saving my little precious yorkie's life. I am so grateful for all the healing you two provided for my wonderful little baby Moosey. Testimonial: My little yorkie Moosey was diagnosed with parvo and was treated at a vet for under 24 hours, Moosey was sent home because I was unable to pay for more treatment, Moosey was going to pass away and I did not know what to do. So I posted an ad on craigslist and received little response with the exception of Lona and Ken from Clear Point Therapy, I talked with Lona and she offered me her services. I was ssssooooo grateful, It reminded me that there are still good people out there. From that point on Lona and Ken had worked on Moosey and day after day Moosey gained his strength back. I have heard of VERY few cases where a dog survives parvo especially if they are being treated at home. If it wasn't for Lona and Ken I do believe that my little Moosey would not be here today. It was amazing, as soon as Lona and Ken said they removed toxins Moosey would show amazing signs of healing. I have never seen anything like it. I was concerned a couple days past Moosey's recovery that he was getting sick again and Ken told me Moosey is just tired. Boy was he sure right; as soon as he took his little nap he was bouncing around as if nothing had happened. My heart and soul goes out to Lona and Ken, their graciousness and care will never be forgotten. I would recommend Clear Point Therapy to everyone. God bless you Lona and Ken, and thank you for being such wonderful, powerful, healing people. We first treated the virus, then a secondary infection. The next day the dog was still throwing up so we pulled a toxin related to the infection and the dog recovered. I wanted to tell you...and you can add this on to testimonial...Ella's always kind of been a "Slug" dog...happy to lay on the couch all the time, and sure she'd go for a walk but she liked the couch and I just figured she was that way. As opposed to the boy dog who is always happy and ready for a party and since I adopted both of them, I really had no idea what their true nature was per se. Ella is profoundly different. Certainly, she likes to hang on the couch...but she's Brighter...noticeably more vibrant and full of energy. Truly a profound difference, it's almost like it's an entirely different dog!!!! 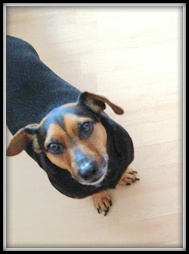 And, not only has Clear Point Therapy helped me, but she has also helped my beloved pets. My very arthritic dog, which on most days eschewed walking and jumping because of his pain, is now walking with me for miles at a time and jumping and barking like he did when he was a puppy. This improvement came after he received only two remote treatments from Ken and Lona! Thank you for your work and your dedication to helping people heal. God bless you and your mission. We worked on a zoo bird three years ago. A flock of them had avian flu. We treated one of the birds, the one that was treated survived, and the rest did not. We treated the virus. One of the most striking things about Horse is a dignity that is impossible to diminish, even pulling a plow or bearing the meanest burden. Horses show us how to carry our burdens with ease and with dignity. We would like to share a little case history that taught us much about animals. 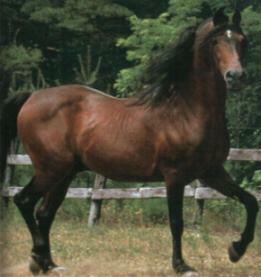 A client was willed a champion Stallion named Goer. When she brought him to her home, he was in decline. He was hanging his head; very ill, and though thought Goer would need to be put down. Out of desperation, she turned to Clear Point Therapy. She came in and became Goer's energy while we treated him. Goer had seen abuse most of his life. He lived in fear, after watching another animal be brutally beaten to death, he knew he had to tow the line, or? Goer was living in fear. We found an attachment from the beaten animal in Goer. He had been carrying that trauma with him for years. The owner thought he might have West Nile Virus. We indeed found that virus and believe we cleared it. After removing the attachment, clearing fears and the virus, he was holding his head up more, but still, not out of the woods. We righted his reversed brain spin, treated him for parasites in the brain, pulled toxins from him and treated numerous other viruses and infections. He kept improving. He is not going to be put down, he may never show again, may never sire again, but Goer is living a happier life of retirement at a wonderful farm in Ellensburg. We still work on Goer once a month for a check up and other problems. His last treatment was to release a phobia. Cats! Of course there were cats on the ranch where he retired. The reports on him get better each month. It appears that Goer will spend the remainder of his life on the ranch, enjoying life to the fullest. So, animals, like humans, carry trauma, which, in turn creates reverse spins and illness. Here at Clear Point Therapy, we believe that by clearing fears and traumas, we will be led to the real reason the body creates disease. When those reasons are cleared, we believe, the body is then ready to clear the disease and in doing so, live in a healthy state, as all beings were intended to do. 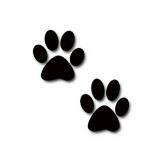 Dogs can teach us so much - about judgment, about loyalty, about companionship, about love. Dogs are faithful and loyal and forgiving. They also guard us, and our homes. We also clear toxins and medications and poison. When our dog went under anesthetic, we pulled it out and she recovered rapidly. We worked on her while she was still in recovery at the vets. Thankfully the anesthesia was for a routine procedure. When an animal is stressed, afraid, traumatized, we work on them for fears and emotions. A rescue dog was afraid it was again, going to be homeless, perhaps hit with newspaper, or, something else. It was very nervous and afraid. We treated the dog, and she became a model citizen. Fears create havoc. Like you, our animal friends are very complex and many take on our trauma for us. 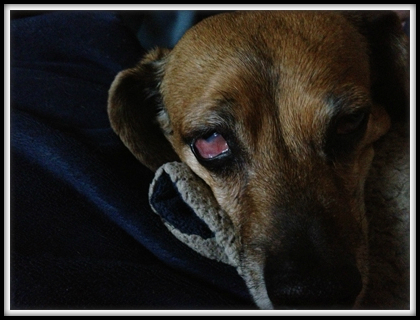 Very often a very ill client will have a sick pet. We believe that animals are nothing less than our relations and friends. The next time your animal is not well, look for the why, don't cover the symptoms with medication, some of which can kill. All of the results came back showing nothing. She sent 9 slides and bloodwork to the University of GA Vet School and nothing. The closest thing that we can find is something called puppy strangle but it has occurred in adult dogs as well. She is now on prednisone and of course NO pain meds. I am doing some Epsom salt soaks and have ordered some frozen wheat grass to put on them. I am working with a woman in NJ who has a machine similar to a biofeed back machine and she is doing reiki and even some meridian work on her. I am trying alternative and regular scientific methods at this point. If the Unv. of Ga cannot find anything, then, I don't think anyone/any entity could! We treated Annie for parasites, with an underlying bacterial infection ( mycoplasma) yeast and other funguses and a virus. One week later her owner reported that the sores were going away with no signs of new eruptions. This was done long distance. I have a rescue friend that has taken in some puppy mill puppies, and one is not doing well at all. He has been to the vet; the rest of the litter is doing much better, but not him. They started w/vomiting and diarrhea. This only lasted 24 hours or so w/the rest of the litter, but the littlest guy is very ill. 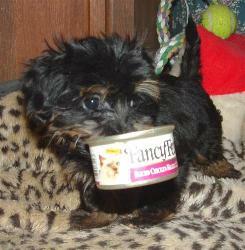 He is only 1 1/2 lbs. He is a Dorky (doxie/yorkie) and about 8 weeks old. He has been over vaccinated IMO, has been wormed every 2 weeks since he was just 3 weeks old. His stools have improved, but he is very anorexic, refuses to eat anything. He is being kept alive w/lactated ringers subcu, pedialyte by mouth and some force-feeding of nutrical and canned dog food. He drinks a little on his own and is well hydrated due to the force fed pedialyte and ringers. His temp runs sub normal, under 100 F. The vet prescribed albon for coccidia recently, though the stool sample didn't show positive. He has gone downhill since the albon was added. He is on amoxicillin, has a rumbly chest and now started w/a snotty nose today. He is no longer vomiting, but not eating either. He is on ambrtose(sp) an immune supporter. Any and all ideas would be appreciated. The vet thought his lungs sounded fine, though when I saw him he sounded congested. His heart sounded fine to the vet. We are in WY and he got a WY exam I hate to say. Any and all suggestions I will pass on to my rescue friend. Thanks in advance. 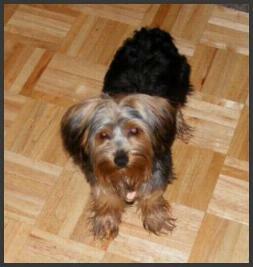 We contacted the rescue and then worked on the Dorkie, here are his results. We treated this dog for an hour for many things. THANK YOU very much for your help with Rome the sick little Dorkie. He has improved and finally started eating on his own......HURRAH! The only problem is I think I've created a monster. Rome thinks he's a big dog and wants to roam around the house or be held. When he doesn't get his wish he screams at the top of his lungs! With around 80 pets here, I can't hold him all the time, but he's happy under my shirt! I am an animal lover and have an assortment of horses, ponies and cats. Their little souls full of unconditional love are so special. When they are ill, I suffer too. 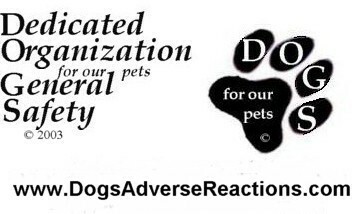 I do follow recommended vet treatment; however the help that Clear Point Therapy has given to them is often times short of miraculous. The energy is just the help that is needed to push them into healing. I have had a horse with probable West Nile virus, treated and survived to enjoy his life now. Of course if my horses have colic, laminitis, or lameness and parasites, I ask for Clear Point Therapy. The horses have received help with pancreatic and liver and heart issues. It is interesting that there are often issues behind the obvious diagnosis and it is getting to these hidden issues that often solves the problem. When Ken and Lona were in Western WA, I was able to see them in person; but now as they live a distance away, I have found that the remote healings are just as effective! My heart felt gratitude for the help that Clear Point Therapy has flowed into my life and that of my loved ones! All the medication your vet gives your dog may do harm. Here is a site dedicated to saving lives by warnings on drugs. We prefer you adopt rather than buy a puppy. Here is the place to find your new animal friends. 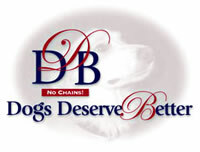 Here is an organization that educates about chaining dogs. Because we want happy and healthy companion animals with us, we support stopping the rampant breeding by those who use dogs as an income source and don't look at them as living beings. Help feed and care for shelter animals. Click here daily.